A re-post for those confused about glycerin and humidity as spring approaches! Changes in weather require modifications to your hair care regimen in order to keep you hair looking and feeling at its best. But how do you know what you should use and when? This article will serve as the foundation for what you need to understand in order to choose the correct products for your hair in any season. This requires a good understanding of humectants: how they work, their purpose and how they are relevant to hair. Humectants are used in hair and skin care products to promote moisture retention. They have the ability to attract water from the atmosphere. Many different molecules have the ability to be effective humectants. How well they do this depends on how many water-loving sites they contain for hydrogen bonding with water molecules. The strength of this bonding between the humectants and water improves moisture retention by minimizing water loss due to evaporation. Because of their water-binding abilities humectants are ideal for dry, thirsty hair. Because the weather impacts the health and state of our hair, it’s important to understand how they should be used in various climates and how your hair care regimen should be modified from one climate extreme to the next. 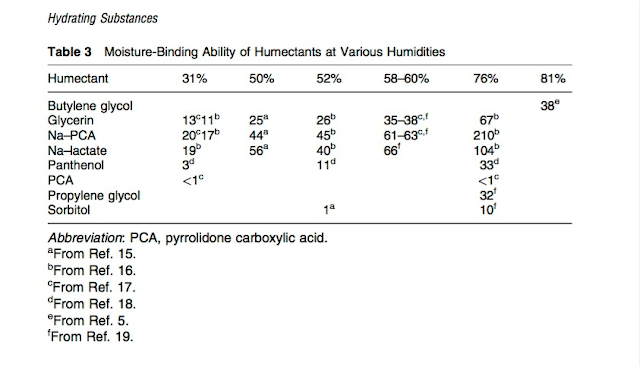 In Tonya McKays’ article the Effects of Relative Humidity on Hair and Humectants, she points out that the laws of thermodynamics have a daily influence on our hair. Thermodynamics is the study of energy. Energy exits in many forms such as heat, light, chemical energy and electrical energy. Everything in nature is always striving to reach a state of equilibrium or point of balance. Molecules that are highly concentrated in one area will typically move to an area where they are less concentrated until the concentration is equal for both areas. This is called diffusion. Diffusion occurs in substances that are solids, liquids or gases. You can demonstrate diffusion easily yourself. Fill a glass with water and add a few drops of ink or dye to the water carefully. The colour will sink to the bottom initially because it’s denser than the water. However over time, if left undisturbed, the ink at the bottom of the glass will spread upwards from where it’s more concentrated (at the bottom) to where it’s less concentrated (at the top). Eventually all of the water in the glass will be the same shade. This is the point where there are no more differences in the concentration of molecules. Why is this important? Because when it comes to hair, this same law of molecules trying to reach a state of equilibrium applies. And the molecules we’re most concerned with are water molecules. Humidity is the amount of water vapor in the air. Dry hair (contains minimal water) exposed to a very humid environment will eventually become saturated with water molecules as water moves from an area of higher concentration (the humid air), to an area of lower concentration (the hair). Textured hair is more susceptible to this because it is more porous than straight hair. Once hair is exposed to high humidity environments the cortex can swell causing cuticle scales on the hair shaft to lift contributing to frizz. On the other hand, dry air typically contains little to no water vapor, or has a low relative humidity. Hair that is exposed to this type of air will tend to lose water and moisture to the atmosphere as water moves down its concentration gradient from more concentrated (the hair) to less concentrated (the air). The resulting hair is dry, brittle hair which can be prone to frizz, split ends and breaking. Are you still with me? I know its seems a little science-y and dry but it’s extremely important to understand this in order to understand why your hair behaves a certain way in particular climates, and what to do about it. Humectants can be a curly girl’s best friend or worst enemy. In some natural hair circles there is still some confusion about these molecules. Some are concerned that they make their hair hard; others are concerned about stickiness. Still others are not quite sure what to make of them and avoid them at all costs. So what is the real scoop? Well the answer is, “it depends”. On what exactly? Well a number of things of which the most important may be the climate. Low humidity conditions are those such as cold, dry winter air. In this case, if you use products that contain a lot of humectants, there is not a lot of water in the air for the humectants to attract to the surface of your hair. What can occur is that the humectants in your products may prevent the evaporation of water from the hair into the air. However don’t look for ultra-moisturized hair from humectant use in this type of climate because it’s just not going to happen. In fact there is a chance that humectants may remove moisture from the cortex of the hair into the air. Remember diffusion? Moisture will move from areas of high concentration (in this case the hair) to areas of lower concentration - the air! This can result in dry, icky feeling hair. Not cool! 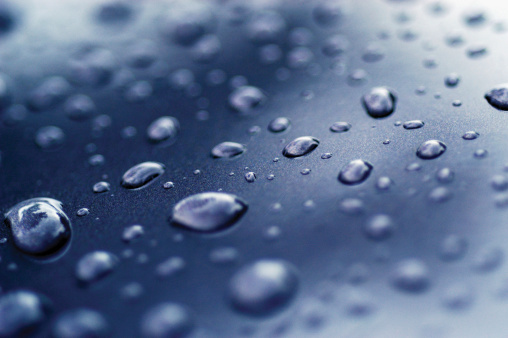 With high humidity conditions such as warm or hot summer air, there can often be A LOT of moisture in the air. Some moisture is good; a lot of moisture – not so much. If your textured hair is dry, damaged and overly porous it can absorb a lot of water from the air. This can lead to swelling of the hair shaft, lifting of the cuticle, tangling and frizz. Combine this situation with a product that is high in humectants (especially glycerin) and you have a situation where a lot of water is attracted to the surface of the hair. This can lead to hair that always feels wet, takes forever to dry and is a sticky, tangled mess. In other words, cotton candy hair. Not hot at all! So how can you assess the humidity in the air? This is a complicated topic that’s difficult to wrap your head around if you’re not a meteorologist or physicist. However, you don’t have to be either one to get a basic understanding of how to determine how your hair will behave on a particular day. Something we can use is called the dew point. The science-y definition of dew point is the temperature below which the water vapor in a volume of humid air at a constant barometric pressure will condense into liquid water. Huh??? What you need to know is that the dew point is associated with relative humidity. The higher the dew point, the more moisture there is in the air. The lower the dew point, the less moisture in the air. To gauge how dew point makes you feel in general, dew points above 65 F (about 18 C) make it feel sticky and humid outside while dew points less than 65 F are more comfortable. The higher the dew point above 65 the stickier it will feel outside. With respect to hair, knowing the dew point can really help you in managing your hair and style and determine whether or not you’ll use humectants, and if so, how much. You can check the dew point of your location on various weather channels and online. There are several different types of humectants found in skin and hair care products. For a pretty comprehensive list please refer to this article. What this chart shows is that glycerin, sodium PCA, sodium lactate and propylene glycol are humectants that have really strong water-binding capabilities while the other humectants have less. While not a complete list of humectants it shows the major ones available in hair and skin care products. With this understanding, how do we choose products and build a regimen for various climates? Next week’s post will address this in detail.